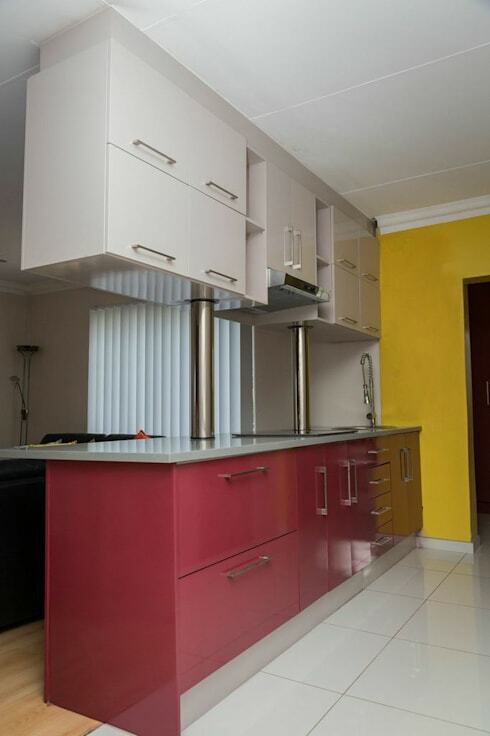 Question: what do you do when you want your house dressed to impress with colour (without resorting to a rainbow look)? 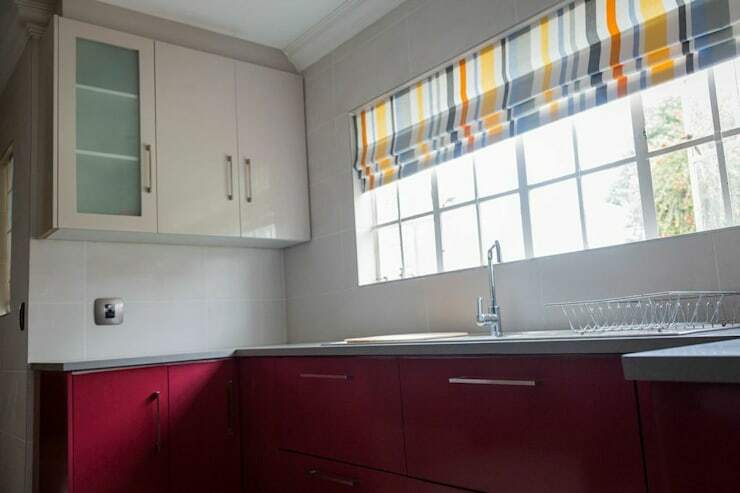 Well, you could always do what this homeowner did: call up interior design company Indoni Interiors in Johannesburg and ask them to spread a bold colour palette throughout the interiors, a task which the experts clearly had no trouble with. 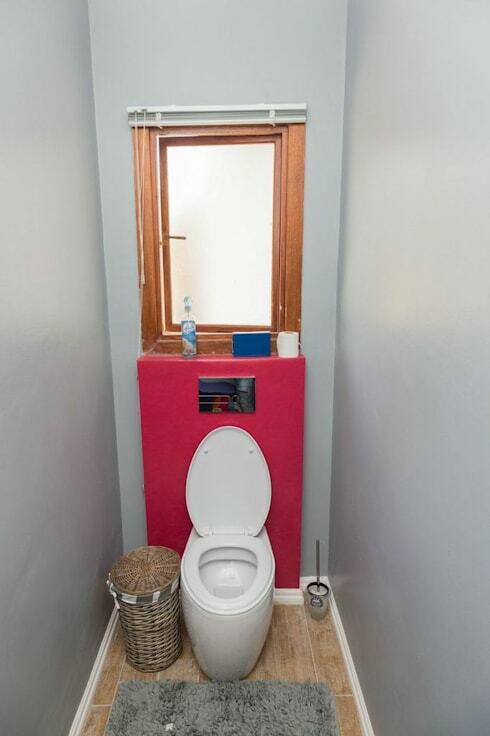 Now that’s how you warm up a bathroom! 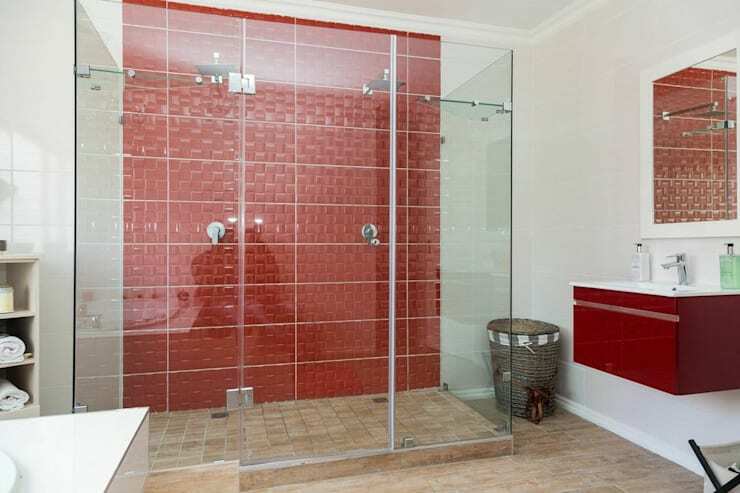 Maroon red styles up this shower and floating vanities quite cheerfully. 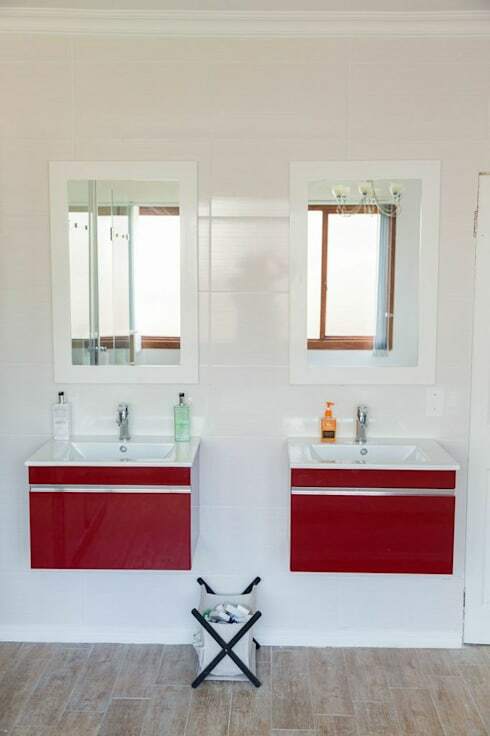 See how that fiery tone makes the vanities stand out from the sleek white wall? 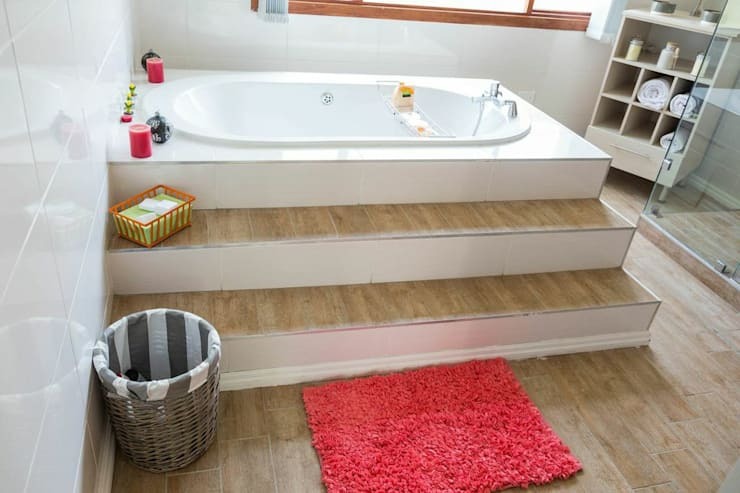 Cheery reds aside, we just love the royal feeling of these steps that lead one into the tub. 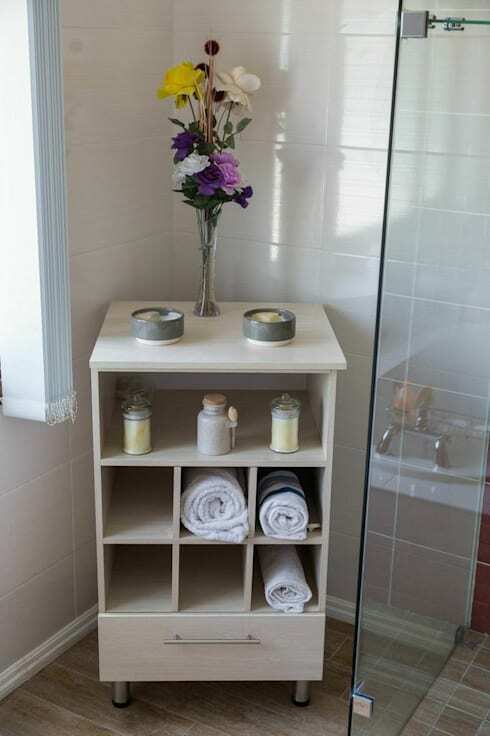 But that all-important element of any bathroom (storage) wasn’t overlooked either. A splash of red for the throne? Why not? The heart of this home also got the colour treatment via a two-tone look of warm red and sunny yellow. See how expertly the blinds’ cooler hues contrast with the hotter ones of the cabinetry. 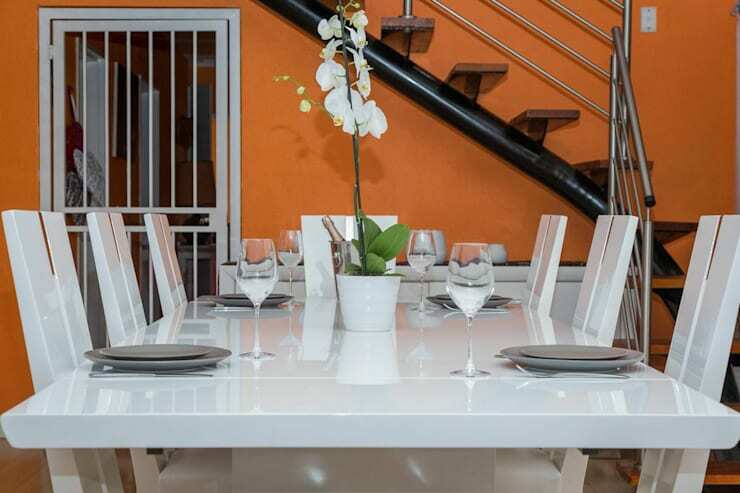 Who knew simple orange could zhoosh up a dining space so effortlessly? 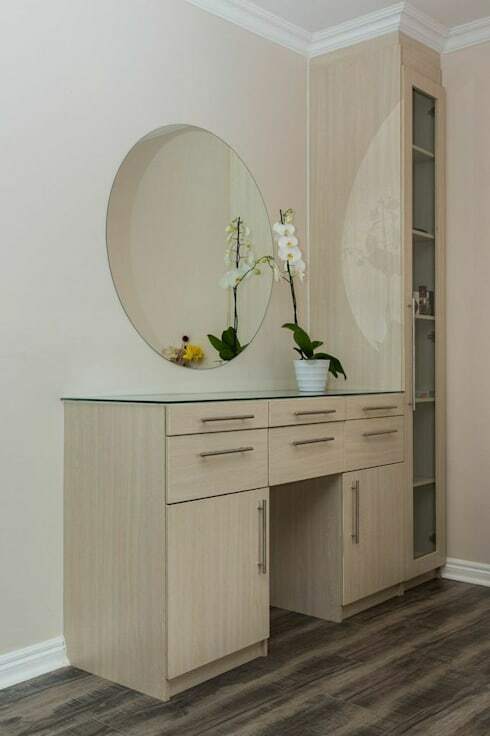 Don’t discount the importance of neutral tones, for they are perfect at making a space seem elegant.